The 2012 edition of ICPC will be held in Passau, Bavaria, Germany. Program comprehension is a vital software engineering and maintenance activity. It is necessary to facilitate reuse, inspection, maintenance, reverse engineering, reengineering, migration, and extension of existing software systems. ICPC provides an opportunity for researchers and industry practitioners to present and discuss both the state of the art and the state of the practice in the general area of program comprehension. Proceedings online at IEEE Xplore. Bibliographic data posted at DBLP. List of EMSE Special-Issue Invitees available. The ICPC 2012 Best Paper Award went to Chris Parnin and Spencer Rugaber for their paper "Programmer Information Needs after Memory Failure". --- Congratulations! The ICPC 2012 Most Influential Paper Award went to Václav Rajlich and Norman Wilde for their IWPC 2002 paper "The Role of Concepts in Program Comprehension". --- Congratulations! List of accepted papers announced. The Passau Tourism Office advises to book hotel rooms as soon as possible. June is high season in Passau. Microsoft Research sponsors a Kinect for Xbox 360 for the Best Tool Demo. Oscar Nierstrasz gave the keynote on Monday morning (June 11). Abstract: Mainstream analysis tools are glorified report generators with minimal flexibility. The variety of tasks, roles, and workflows involved in software analysis require a meta-tooling environment which allows the rapid development of custom tools that go beyond reports: query engines, tools to rapidly construct software models from heterogeneous source code and other data sources, mechanisms for exploiting sources of "big software data", and tools for monitoring architecture and system evolution. Such an environment would support an "agile assessment" methodology in which analysis tools are easily adapted to the contextual needs and are constantly integrated in the development process. We illustrate some of these ideas in the context of Moose, a platform for software and data analysis. Bio: Oscar Nierstrasz is a Professor of Computer Science at the Institute of Computer Science (IAM) of the University of Bern, where he founded the Software Composition Group in 1994. 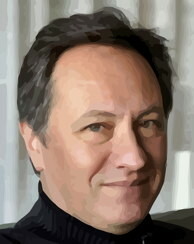 Prof. Nierstrasz is co-author of over 200 publications and co-author of the books Object-Oriented Reengineering Patterns and Pharo by Example. Rob DeLine gave the keynote on Tuesday morning (June 12). Abstract: My group at Microsoft Research creates software development tools through user-centered design. This method creates a virtuous cycle: we study developers and their teams, which in turn inspires the tools we design, which we then evaluate with those developers and teams, seeking to improve the nature of their work. In this talk, we'll discuss some of the biggest problem areas we have observed, including information seeking, multitasking and disorientation, and look at some of the prototypes we have built in response. Code Canvas provides a zoomable map of a software project, allowing the programmer to zoom out to see structure and visualizations and zoom in to edit code. Debugger Canvas (a joint project with Brown University) provides a spatial representation of a programmer’s task, like a debugging session, as it unfolds. Finally, Code Space uses a combination of touch screens, Kinects and mobile devices to allow fluid sharing of digital objects at development team meetings. Bio: Rob DeLine is a Principal Researcher at Microsoft Research, working at the intersection of software engineering and human-computer interaction. His research group designs development tools in a user-centered fashion: they conduct studies of development teams to understand their work practice and prototype tools to improve that practice. Rob has a background in both HCI and software engineering. His master's thesis was the first version of the Alice programming environment (University of Virginia, 1993), and his PhD was in software architecture (Carnegie Mellon University, 1999). Special issue on ICPC'12 confirmed to be published in the Springer journal Empirical Software Engineering (EMSE). There will be a bus from Zurich to Passau on Sunday, June 10th. Tickets for this bus can be purchased on the registration site. If you did not find what you are looking for, please do not hesitate to contact me (Dirk Beyer, General Chair).